In this science printable, students will list the main functions of brain parts and label a diagram of the brain. 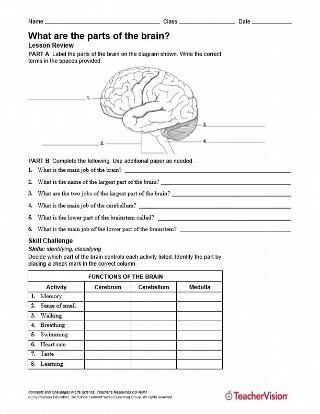 As a skill challenge, students will identify whether the cerebrum, cerebellum, or medulla controls each activity listed in the chart. 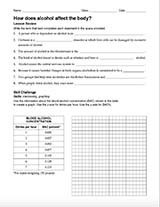 Use this worksheet to review the nervous system in the human body. An answer key is provided.